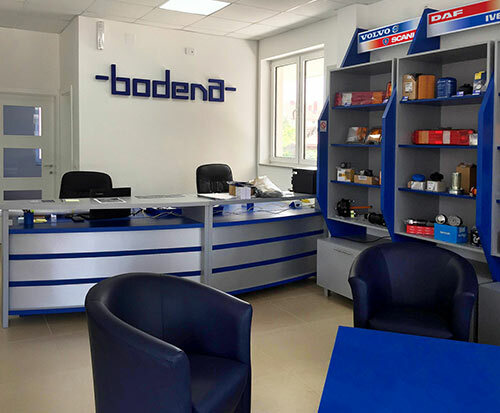 BODENA Ltd. was established in 1997. 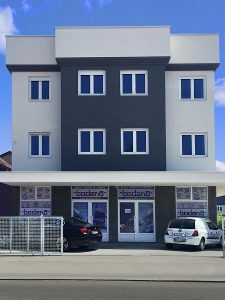 Beside its headquarters in Temerin, there are branches in Novi Sad, Belgrade, Čačak and Niš in Serbia, and Banja Luka and Bijeljina in Bosnia and Herzegovina. 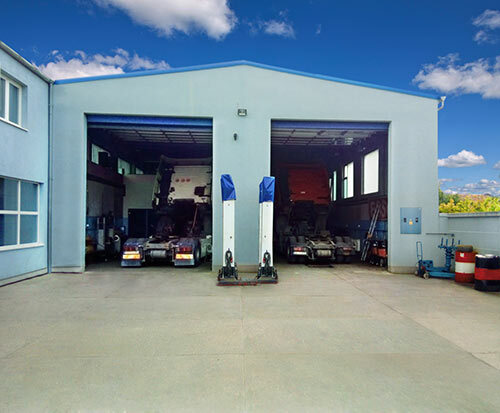 We are one of the largest importers of spare parts and accessories for commercial vehicles, and we also offer repair and maintenance services for trucks and buses. Our focus is based on following trends in this industry in order to adequately respond to customer needs and market changes. By continuous resource investments we are creating awareness and improving competencies of our employees, so we can improve effectiveness and efficiency of our processes. Many years of experience and tradition have resulted in a large number of satisfied customers and positive references, so we are know as a reliable partner. Our goal is to offer products and services with the best balance of price and quality. Our selling assortment includes spare parts for VOLVO, SCANIA, DAF, IVECO, MERCEDES-BENZ and MAN commercial vehicles. ElringKlinger AG, The Timken Company and others, (whose certificates can be seen under the Documents section), but in our offer there can also be found a large number of other well known spare part brands. In addition, we offer repair and maintenance services for the mentioned vehicles, as well as professional UPI injector rebuilding. We are available for providing service outside our workshop when needed, and open for advising our clients anytime.